Many fish hobbyists dream of opening a tropical fish store, also referred to by the initials LFS (which stands for ‘Local Fish Store,’ for those in the fish biz). While this is undoubtedly a fascinating undertaking, this is also a very complicated, high-maintenance, costly endeavor. Not only must one be highly knowledgeable about tropical fish, but you also must possess keen business smarts and a deep passion for this pursuit. For those who are determined to launch an LFS, here are some tips. On average, launching an LFS can cost anywhere from $50,000 to $100,000. So be sure to have your financing in order and have approximately one year of cash reserves on hand, for your own as well as your fish store’s survival. It does take a while for a tropical fish store to establish a following and begin to reap a profit. Also, factor in other costs you might not initially think of, such as electricity and water bills; you will be going through oceans of that. Thus, it would be a wise idea to research your municipality’s water rates history. Note: If you are new to owning this or any business, it’s advisable to test the waters (pun intended) by starting with freshwater fish, because they are much easier and less costly to maintain. When opening any retail operation, it is always highly advisable to take a business course before you even get the ball rolling, so you will exactly know what you’re getting into and what you’ll need to succeed. You may initially consider an online business course, many of which are free. It’s also crucial to devise a specific business plan so that you can have a clear focus on your goals. Also, you must determine the kinds of business licenses and permits that are required. Like it or not, you must also consult with a business attorney, to help protect your assets. Other factors to consider are how you plan to promote and market your store. Do your homework in this regard, because this is extremely important. For one, you will want to open your tropical fish store in an area where you will have high visibility and relatively easy access to walk-in traffic, as this is one pet business that is dependent on that. Of course, you don’t want a location in the shadow of a big box pet franchise; they will drown your tropical fish store. 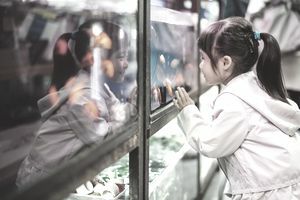 The big box pet franchises and general merchandise discount stores are among the biggest headaches for those in the LFS industry. To say that the mom and pop, tropical fish stores universally resent these operations is an understatement. However, owners of privately owned fish shops can turn this to their advantage by offering fish and supplies not found elsewhere, and by becoming the go-to experts. Bear in mind that the big general stores sell everything from pantyhose to house paint. The big box pet stores, meanwhile, sell merchandise for many kinds of pets. Tropical fish stores sell fish and fish supplies, period. So anyone who owns such an enterprise is in a prime position to become the go-to fish guru. Plus, privately owned businesses are in a greater position to offer much more personalized customer service. By capitalizing on these factors, you can buck the competition by becoming a big fish in a small pond. It’s not enough to be a fish expert. Anyone in this or any pet business must be a people person. Remember, you will be servicing everyone from highly knowledgeable, advanced fish hobbyists to novices, like kids getting their first tanks. Be sure you are well-versed in relating to people at all levels of experience. Now that we got that out of the way let’s get down to brass tacks. A very important note: Make sure that those tanks, not to mention the store in general, are spotlessly clean! Nothing turns off a tropical fish hobbyist faster than dirty conditions. You will also need general supplies like shelving, a computer, and business software for keeping track of your finances, inventory, tax records and such; and other general business items. And by all means, get a website or, at the least a business blog for your tropical fish store. Make sure they have lots of photos and other frequently updated info. Launching and operating a tropical fish store can be so hectic and often overwhelming that one may forget that you are dealing with living beings. So remember that tropical fish have personalities; they have feelings, they like to play, and they need attention. So don’t forget to lavish those fishies with lots of TLC!